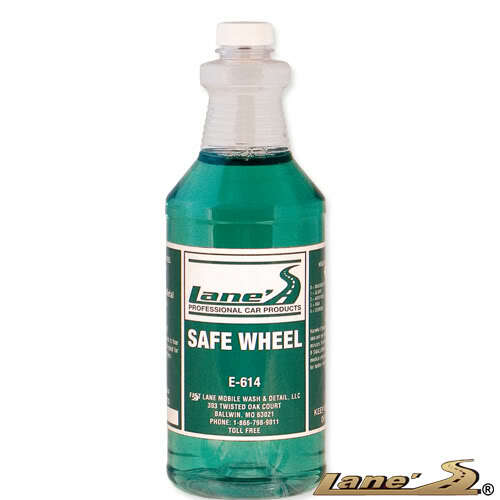 Lane's Safe Wheel is a non-acidic professional strength wheel cleaner designed to clean chrome, custom, alloy and mag wheels effectively and safely. Lane's Safe Wheel makes Cleaning chrome wheels easy. Always make sure your chrome wheels are cool and spray cleaner on the wheel, watching the dirt and grime instantly start to dissolve. To speed up the cleaning processes rub the chrome wheel lightly using a micro fiber mitt or sponge. Hosing off our professional strength chrome wheel cleaner is exciting because now, you can see the brilliant shine of your chrome wheels.